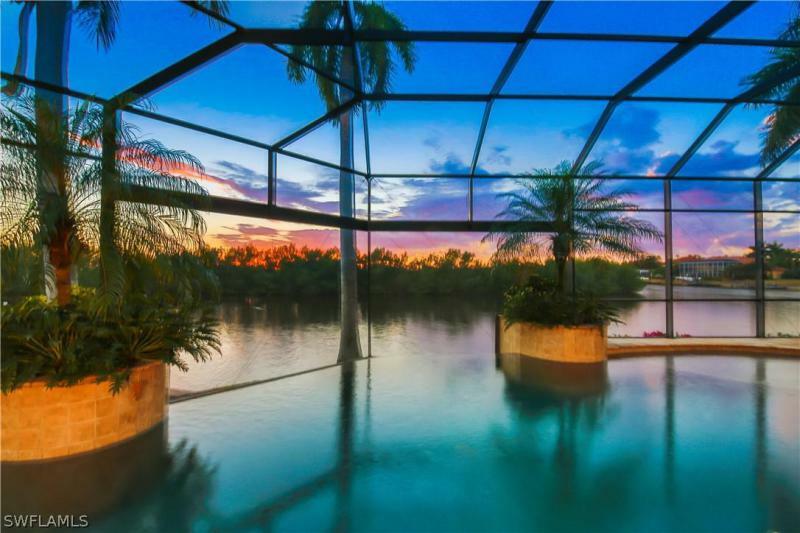 Enjoy a true floridian lifestyle in this sensational custom built villa. With a gorgeous south exposure and exquisite spreader views, this two-story home offers a master suite on each floor, as well as two additional bedrooms and four bathrooms the choice of the finest materials being chosen to design the interior allows you to luxuriate in exclusive hammered edge marble flooring throughout the entire home, including engineered hardwood floors in the master suites along with numerous other accommodating advancements to increase the quality and comfort of your stay. With the chef's kitchen comes an island, wine cooler, stainless steel appliances, granite counter tops, and a large bar area, perfect for enjoying an entertaining evening with family and friends or a peaceful sunrise with a water view. Exceptional daylight exposure allows you to relish in the elegant high-end custom built pool area with travertine flooring, custom outdoor kitchen, impressive planters and outdoor shower, giving this area a resort-styled feel. Generous space along the large composite dock with captains walk, boat lift, and two jet-ski lifts, makes this perfect for boat lovers.